Some South Sound runners climb the steps at the Museum of Glass. Others challenge themselves by summiting Tacoma’s iconic Stadium Bowl. Danny Leyva just took bigger steps than that – at the age of 15, Leyva climbed from Tacoma Defiance to Seattle Sounders FC. It’s a gigantic move. a stair step on a pro career still in its infancy, starting in October of 2018. The youngest Sounders signing in history finished the Stadium Bowl and now gets to climb Columbia Center. He has 19 Tacoma Defiance teammates chasing those same dreams. Those players can look to Leyva and fellow Sounders Jordy Delem, and Nouhou as examples for their own future. Earning it is a recurring theme that comes from coach Little, Seattle Sounders coach Brian Schmetzer, and Sounders President of Soccer Garth Lagerwey. Schmetzer points out that others with Defiance are on the doorstep. Each player with Tacoma and within the Seattle Sounders Academy are on an individual development path. Director of Player Development Marc Nicholls works with players, coaches, and families on those plans. The coaching and development groups collaborate on creating those plans and evaluating the Defiance talents. Those groups see more players who are on the verge of following in Leyva’s footsteps. The next move could even be before the international transfer window closes on May 7. At any given home match the scouting department and coaches from throughout the organization are at Cheney Stadium – watching and evaluating. Road matches have Little and assistant coach Wade Webber and Academy & goalkeeper coach Josh Ford in attendance to relay information back. Every game is a chance to earn an opportunity. Each player is developing a catalog of performance in wins, losses, and draws. The entire club works together towards those players’ success. Danny Leyva’s dream took a whole club to become reality. His hard work finished off the foundation that his teammates, coaches and family built. This is only a step. The 19 Tacoma Defiance players want to follow those footsteps. They share those dreams. The words of the entire organization are proven in the 12 Homegrown Players and three individuals who came up through S2/Defiance to sign MLS contracts. “I think it is proof that we mean what we say. It’s not just a bunch of empty words. We are signing kids and we want to promote them to the first team as quickly as possible. Lagerwey mantains patience with a player’s development is key. 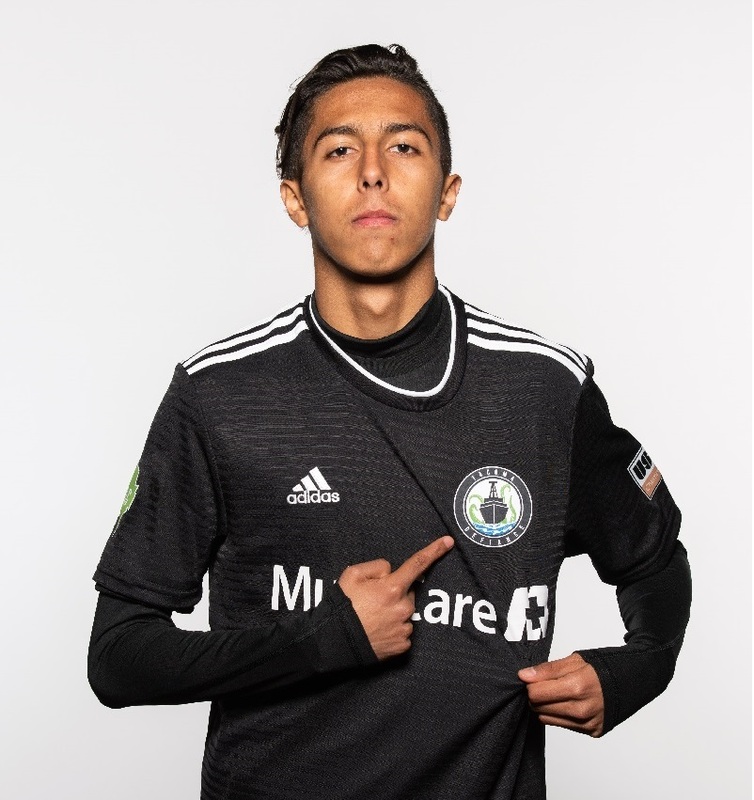 Even if someone like Danny Leyva goes from amateur talent in Las Vegas to Seattle Sounders FC in less than three years. Next home match versus Portland Timbers 2 at Cheney Stadium on May 12 at 1:30 pm. (Tickets available here).